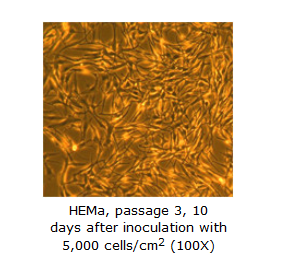 Lifeline® Normal Human Epidermal Melanocytes – Adult (HEMa), when grown in Lifeline® DermaLife Ma Medium, provide an ideal low serum culture model, without PMA or Cholera toxin, for the accurate testing of compounds and for use in the study of cancer or dermal biology. 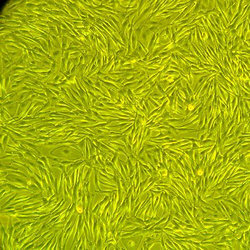 Lifeline® Epidermal Melanocytes – Adult have been isolated, plated and expanded in culture vessels twice before being harvested for cryopreservation to ensure the highest viability and plating efficiency. 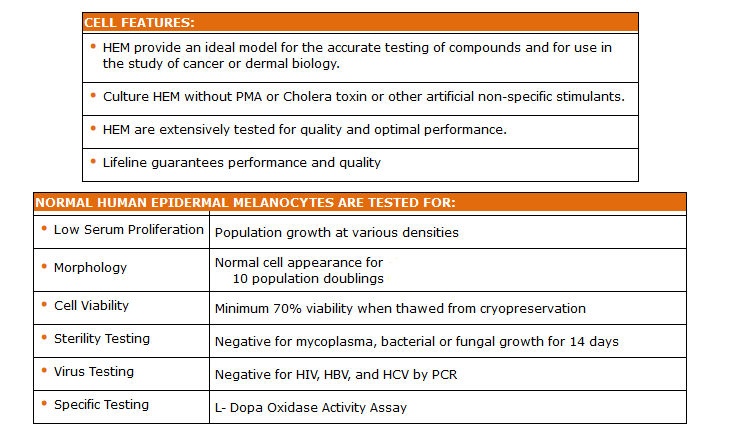 Our Adult Melanocytes are quality tested in DermaLife Ma Medium to ensure optimal reduced-serum growth and morphology over a period of at least 10 population doublings at rates greater than media supplemented with higher serum, PMA or Cholera toxin. Lifeline® HEM are not exposed to antimicrobials or phenol red when cultured in Lifeline® cell culture medium, an advantage since these supplements can cause cell stress and “masking effects” that may negatively impact experimental results. Lifeline® offers these traditional supplements; however they are not needed, or recommended, to achieve optimal cell performance in most research applications.